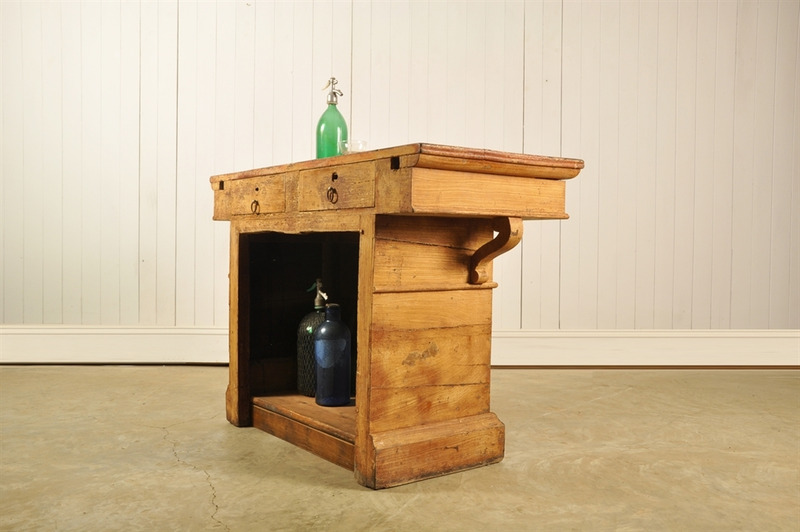 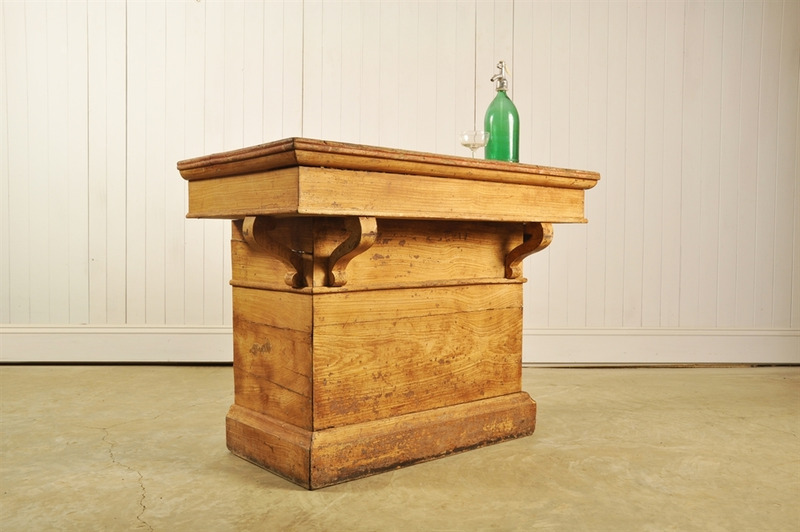 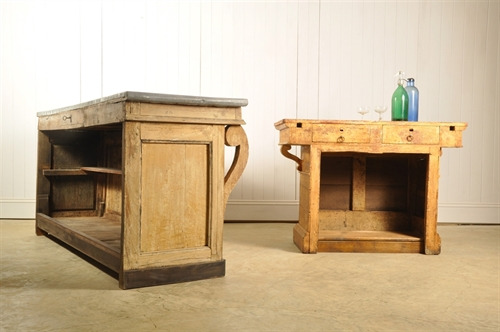 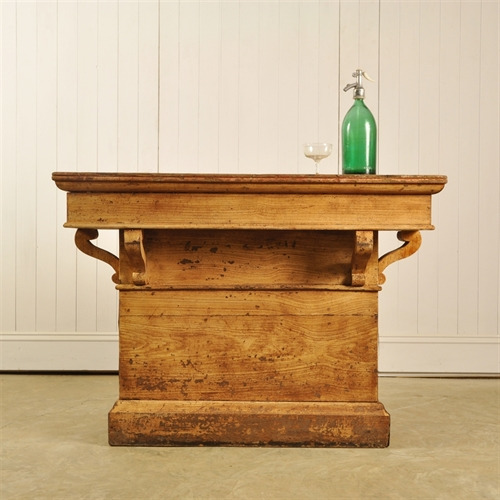 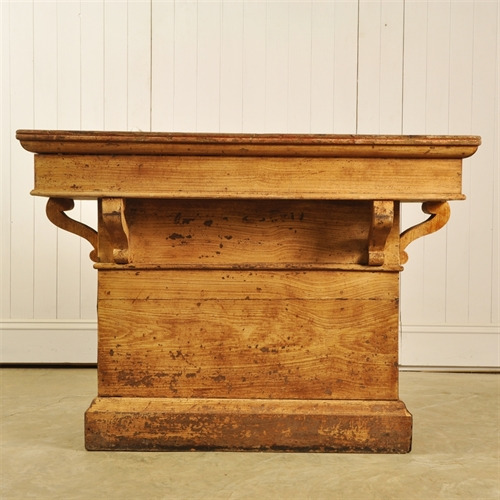 We love this tiny little 19th Century shop counter. We believe that it was built this size so that it can be taken onto a stall at a market. It might be small but it certainly packs some punch. 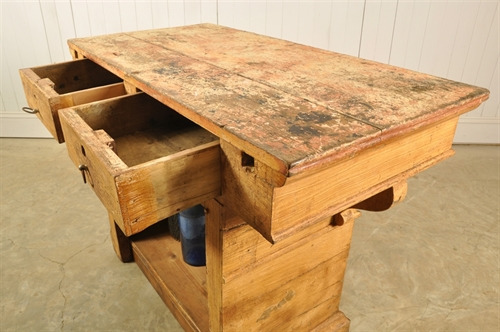 A great deal of effort has gone into the carpentry and finish. We think this is because the vendor would have wanted to be proud of their stand. 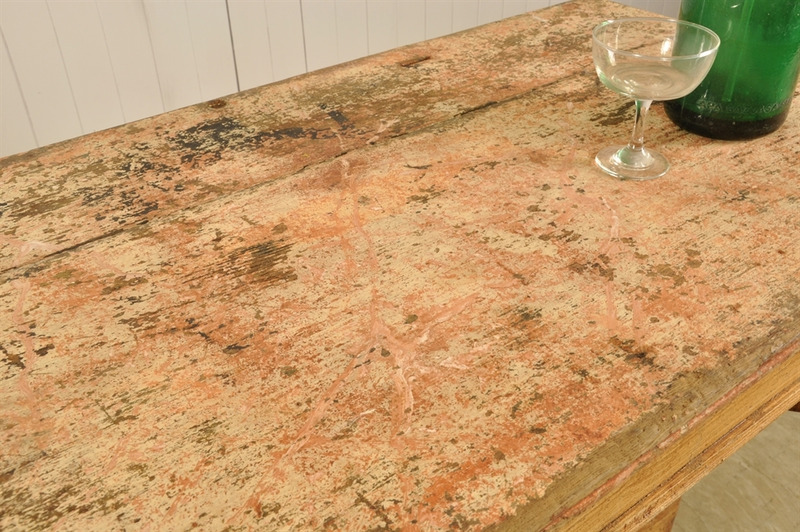 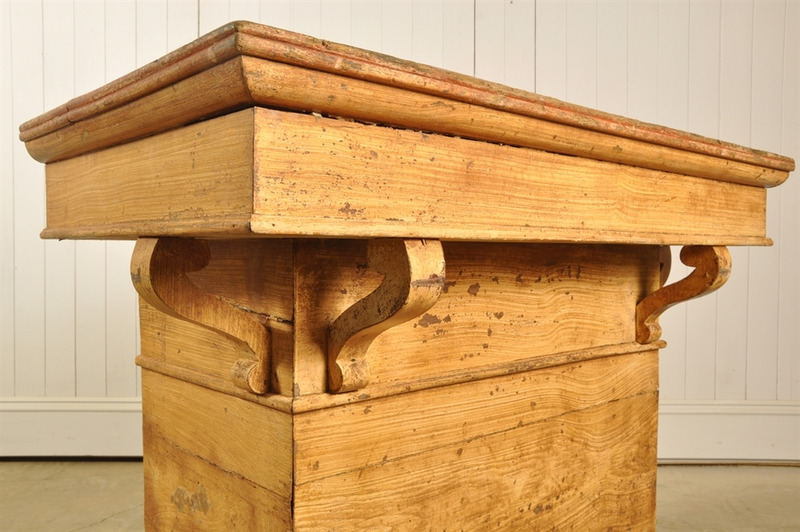 There is a painted wood effect on the casing and evidence of a marble paint effect on the top, all of which is showing masses of natural distressing and patina. Some old repairs and re-treated woodworm along the base. This would make a fantastic minibar/island/desk or console table.